We first visited Cenderawasih Bay in 2014. We were blown away by the shipwrecks, reefs and whale shark encounters in this huge bay in West Papua. 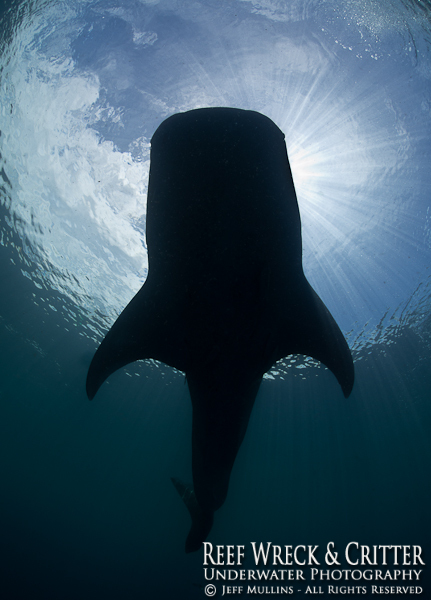 This area has become THE destination to dive and photograph Whale Sharks. 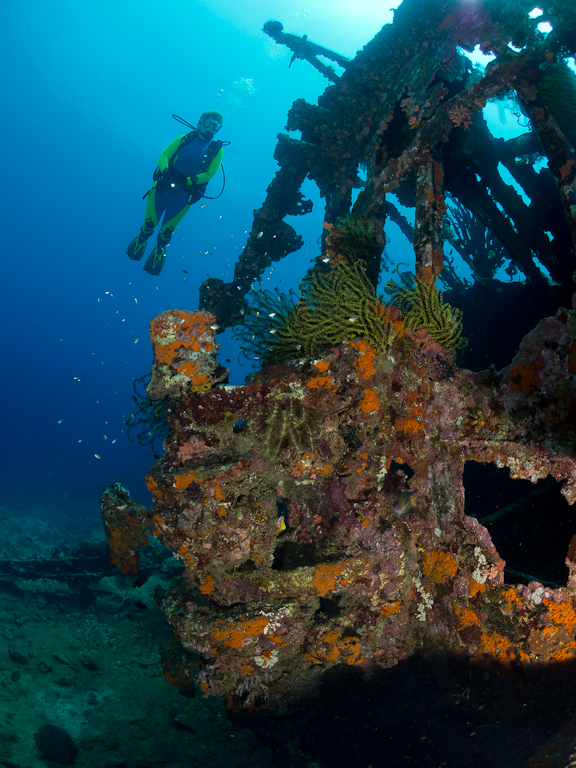 It also has beautiful remote coral reefs and some great World War II wrecks. Join us for a trip to Cenderawasih Bay. We have chartered a 32 meter long Phinisi live-aboard dive vessel for this trip of a lifetime for 8 days/7nights. We fly from Bali to Manokwari in West Papua. Here we board our live-aboard dive vessel in Manokwari Harbour and begin our dives on a World War II Japanese wreck close to Manokwari. 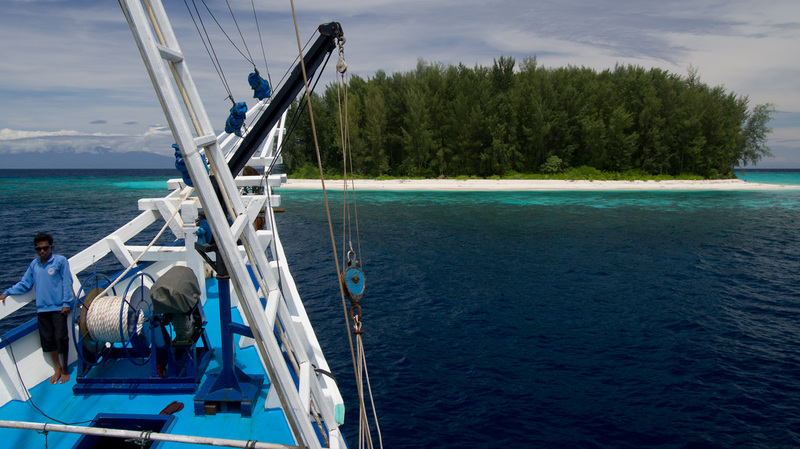 We then head south, deep into Cenderawasih Bay, diving on reefs, atolls and wrecks along the way. We get to spend 7 days diving the reefs and WWII wrecks in this huge bay, with 2 days (that's 6x 60 minute dives) devoted just to diving with the Whale Sharks in the southern area of Cenderawasih Bay. Contact us for a price guide, dates and more information. 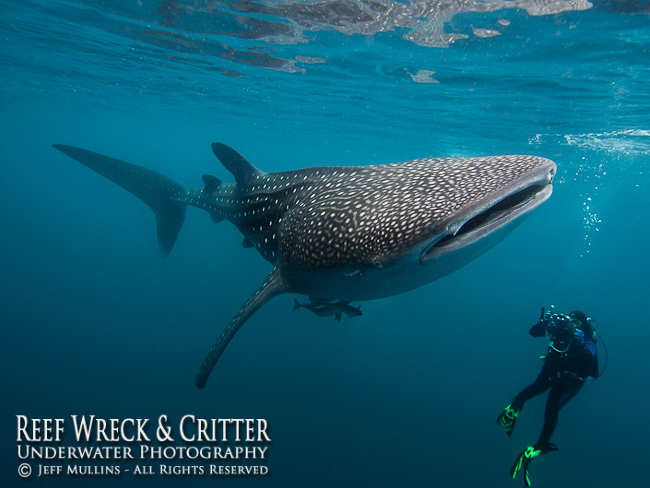 Dive on remote reefs, WWII wrecks and with whale sharks (up close & personal). No-one rushed to finish their dives. 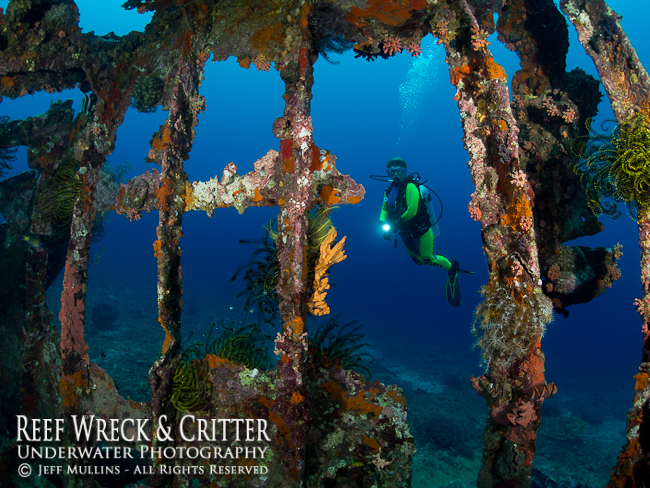 Free help with improving your underwater photography. You won't be treated like a beginner, as we only invite experienced divers. These trips are all about fun, underwater photography, plain relaxing, diving and cruising around the picturesque seascapes of Cenderawasih Bay. Map of Indonesia, showing Cendrawasih Bay and our flight route - click to enlarge. Cenderawasih Bay ("Bird of Paradise Bay" in English), is located at the western end of Papua Island (see map above), this huge bay (1.4 million hectares) has some very unique coral reefs that have evolved in seperation from other reefs surrounding West Papua, due to isolation over millions of years. This has allowed some corals and fish species to be unique to Cenderawasih Bay. The bay's western shoreline has been protected as Marine National Park since 2002. 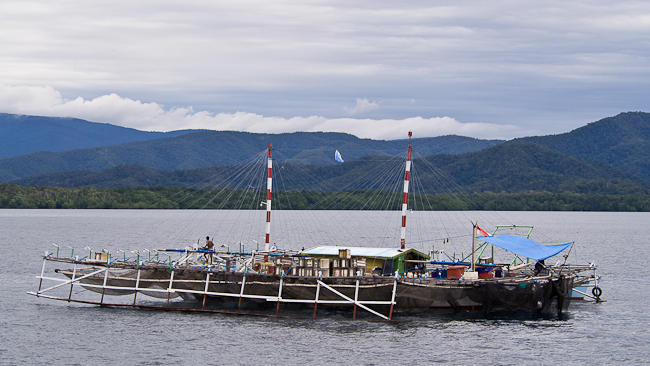 The star attraction of this bay are the Whale Sharks that have been attracted by fishermen. The fishermen catch small baitfish at night in nets lowered from fishing vessels known as "Bagans", this has over a period of time attracted Whale Sharks that come to feed on the baitfish that spill from the nets at the surface. There are also the remains of World War II shipwrecks and the wreck of a Japanese Zero aircraft in the bay. 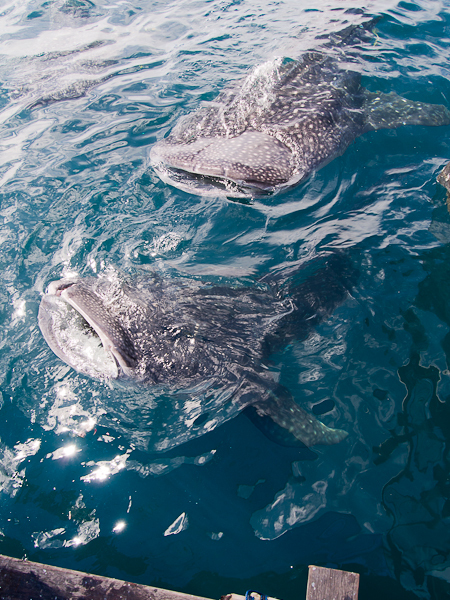 Whale Sharks feeding at a fishing Platorm (Bagan). 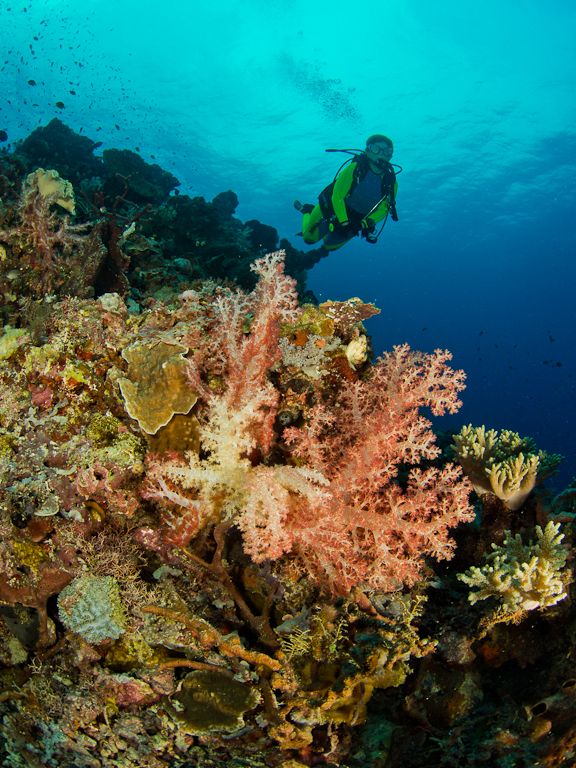 Some of the reefs in Cenderawasih Bay are cloaked in soft corals.